Gov. 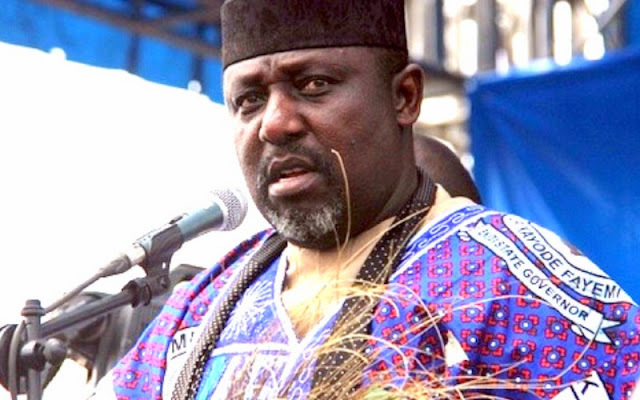 Rochas Okorocha of Imo says he is considering reducing the number of work days in the state from five to three, to enable the government cut salaries. He said the reduction of work days would enable workers to attend to other activities that would generate money to supplement their monthly salaries to take care of their families. “I encourage Imo workers to find additional things to do to support their families because of the economic situation we are facing in Nigeria. We are considering to reduce the working days from five to three in Imo, so that workers will use the rest of the days to work and support their families’’, he said. Mr. Okorocha, who was not specific on when it may commence, added that Imo government was equally planning to review workers’ salaries downward. He said that in spite of the current payment of 70 percent of salaries to workers, the state still paid the highest salary scale among South-Eastern states of Abia, Anabmbra, Ebonyi and Enugu. “Directors in these other South-Eastern states receive something a little above N90, 000 while in Imo they receive more than N100, 000. “We intend to clear salary arrears up to July by next week. After that, we will consider downward review of salary to workers to be at par with other states of South-East,’’ he said. On the just-concluded rerun election, Mr. Okorocha commended Imo people for electing the candidates of APC in Imo North Senatorial District, Isiala Mbano and Oru East State Constituencies. He said with the victory, APC had shown that it was strong in the South-East and should be given its due right. “With these victories, it shows that APC candidates won most of the national and state assembly seats during the 2015 general elections. “I call on the leadership of the National Assembly (Senate), to correct the abnormality in its leadership which resulted in an opposition member occupying the Deputy Senate President seat,’’ he said. On his urban renewal programme, Mr. Okorocha said the relocation of Ekeukwu-Owerri market, Orji and Nekede Mechanic villages to Avu was irreversible. “From Monday, Aug. 1, a taskforce to enforce the relocation order for the mechanics will commence work, and I am advising vehicle owners not to take their vehicles to any of these places from Monday’’, he said.